The second country depicted on the Silk Road series is Dubai. I have been linking the countries I have traveled from East to West by way of one of the oldest trade routes known to humankind. 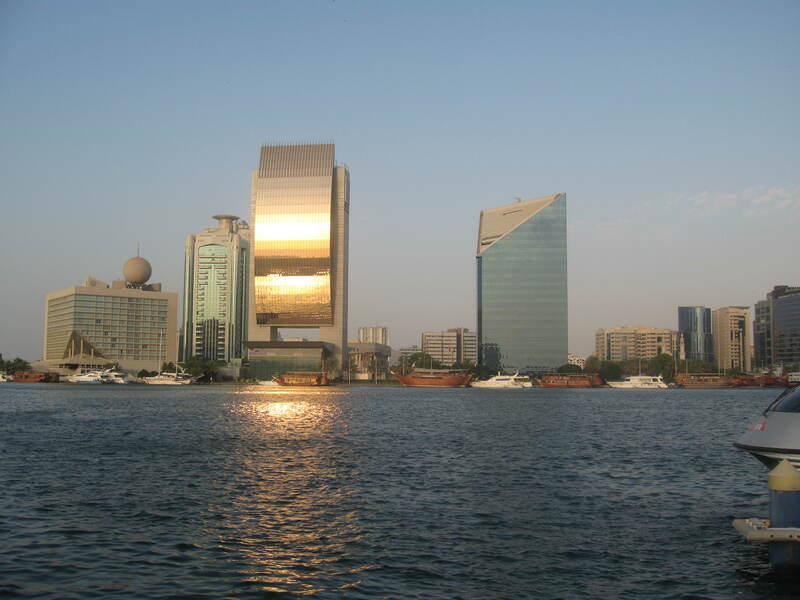 Dubai, Abu Dhabi, Sharjah and the other emirates have interacted with the outside world for thousands of years as an important trade port, as well as a center for pearl harvesting. 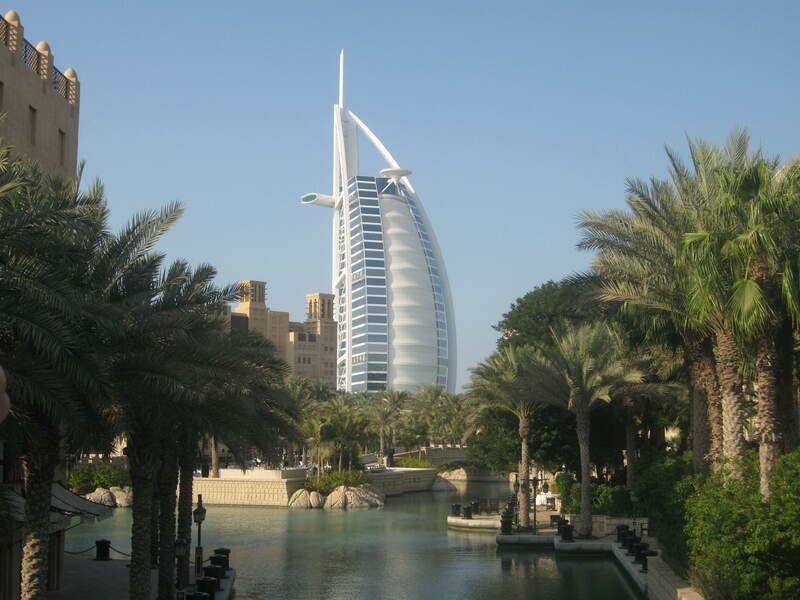 Since my January 13th post on Dubai, I have had many requests for additional information from friends who are now visiting this part of the world, and I hope this knowledge serves as a guide to getting out and exploring this fabulous oasis. 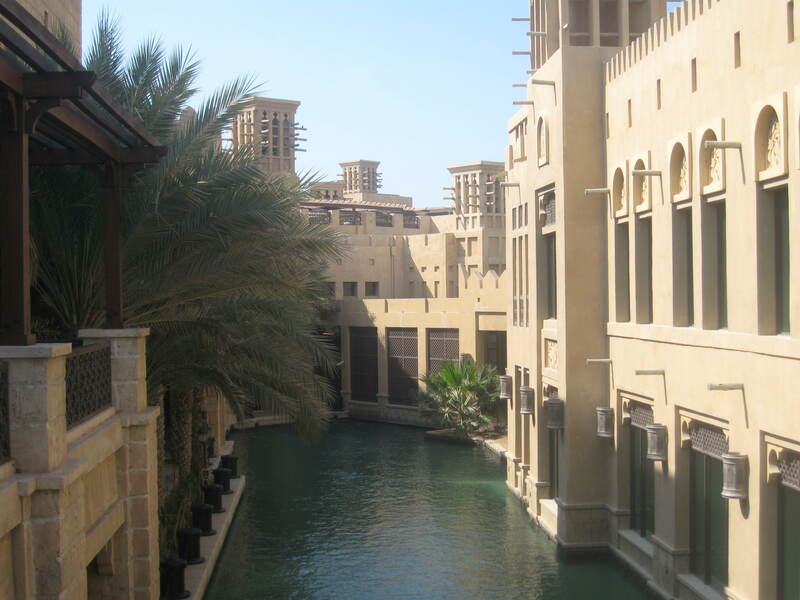 Visiting the Souk Madinat Jumeirah is a fabulous way to meander avenues filled with spices, scents, and fabrics through narrowly lit hallways. The waterways and bridges connect you to art galleries, antique shops and restaurants. It is a true step into the past. 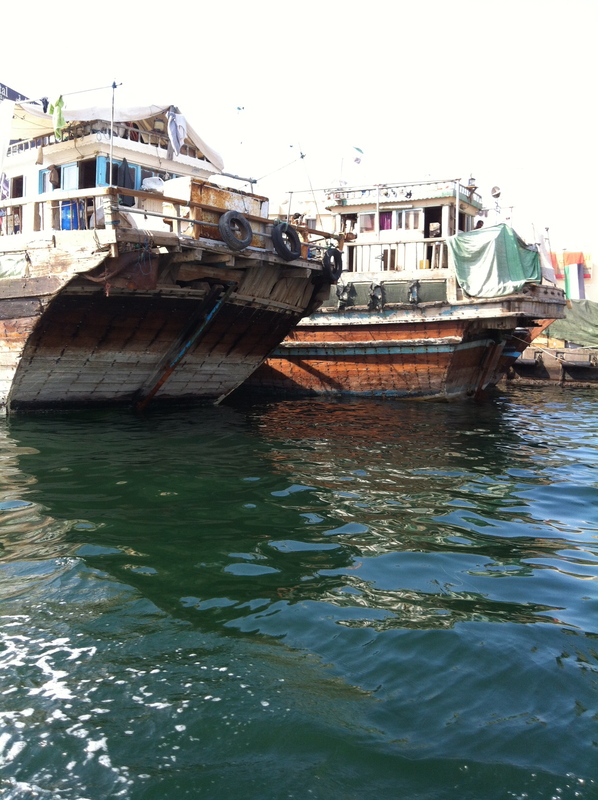 The Dubai Creek or Khor Dubai is a saltwater creek that we motored down in a “water taxi” with our guide to the gold and spice souks. 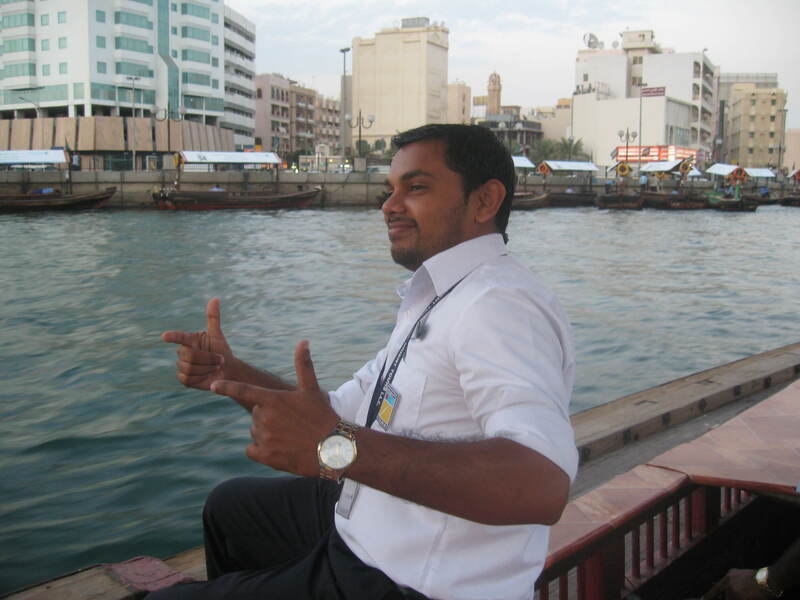 In the background of this picture is the National Bank of Dubai and the Dubai Chamber of Commerce and Industry. Fishing is an important industry upon this creek. 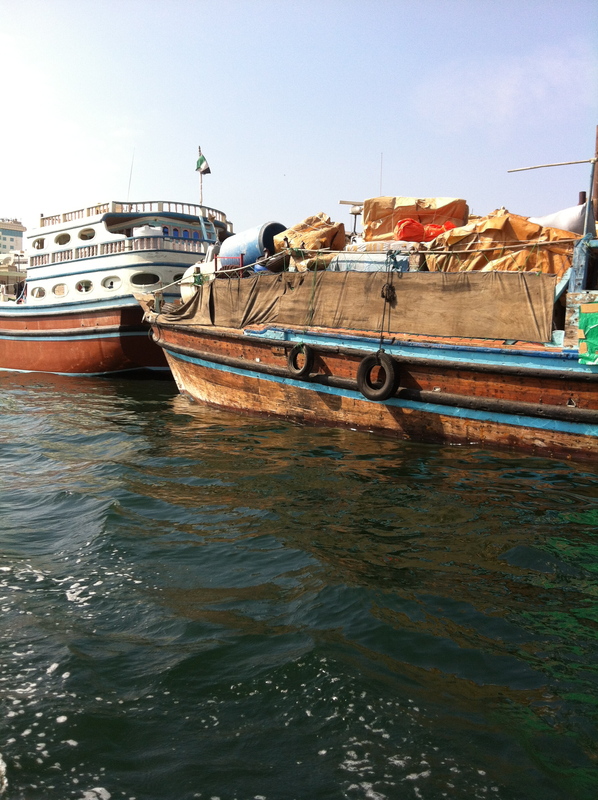 There are “Dhows” which are Arab sailing vessels used to carry heavy items along the coast of the Arabian Peninsula. These are absolutely beautiful crafts, each with magnificently bright colors against the deep turquoise water. It was really neat to see how each boat was setup for people to live upon, as well as fish from the creek. 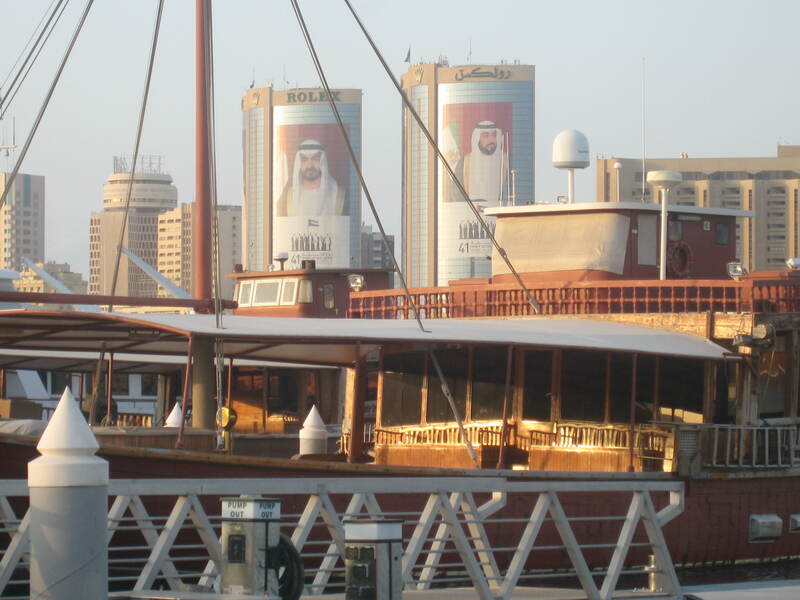 On my next trip to Dubai, I definitely want to travel the creek in this type of ship. Excellent pictures and narrative delineating the culture and charm of a fab city, so modern yet steeped in thousands of years of history. Very interesting. 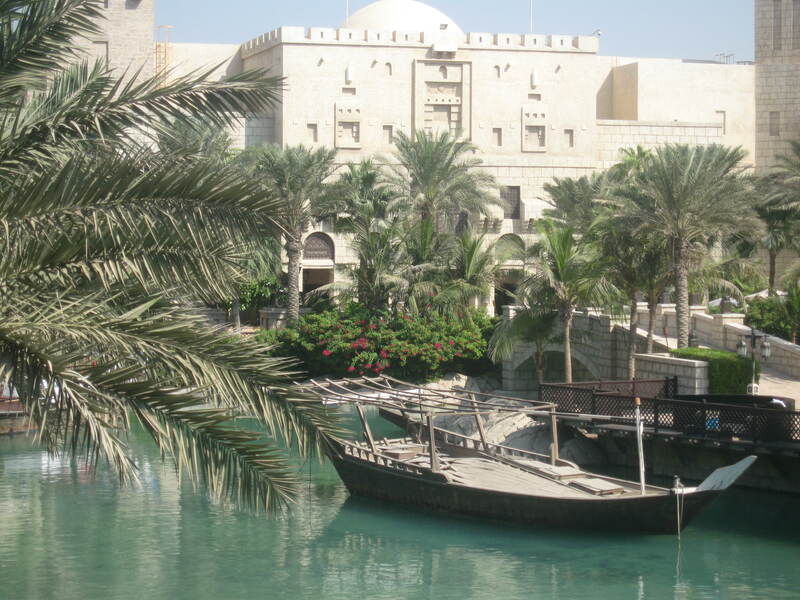 Dubai is an absolutely fabulous oasis and as you stated steeped in thousands of years of history. The beauty is you live it as soon as you walk through the city. Hello Stylish Heath, ahhhhhhhh, the Silk Road series continues. I’ve been anxiously waiting for this to continue. And what a nice post to view as the adventure moves west. These photos rank very high in the many posts you’ve done. Breathtaking pics. I like the one with you shopping at the Souks. This is one of the trendier countries I’ve seen so far. Wow, and the architecture is beholding. Really enjoy your post and I’ll be waiting for the next series…………………………………………………………………………. I really appreciate your interest in the “Silk Road” series, and will be continuing with additional post soon!!! !